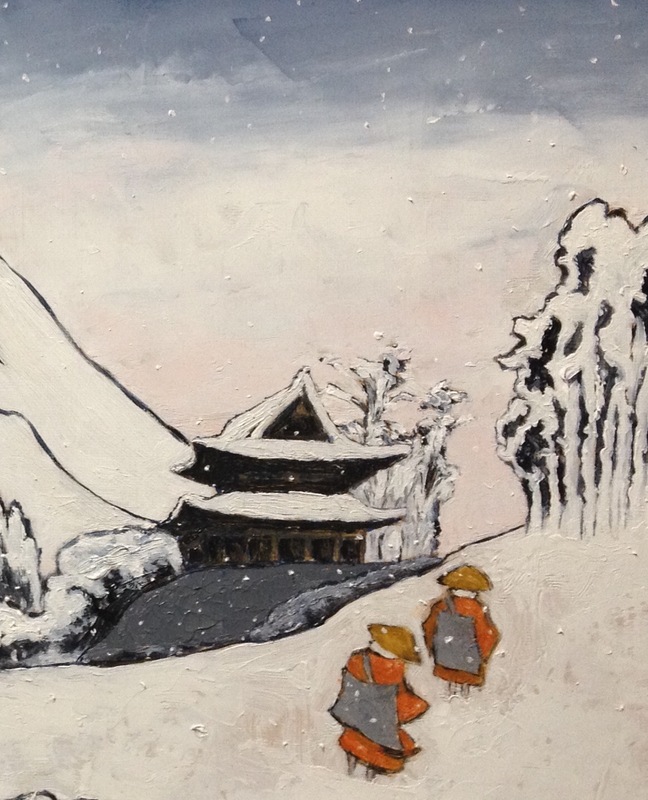 The latest art piece by Sawako Utsumi, a contemporary Japanese artist who hails from Northern Japan, utilizes the snowy landscape by highlighting the respective strengths of Buddhism and Shintoism despite terrible adversity. 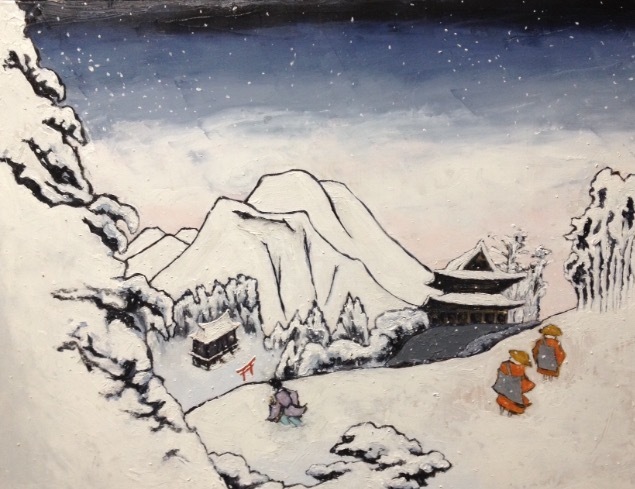 Of course, the adversity applies to the terrible weather conditions faced by the holy men of Buddhism and Shintoism in this art piece. However, on a bigger nuance, then it applies to certain international events that have decimated Buddhism and Traditional Beliefs throughout history – and is still happening today. 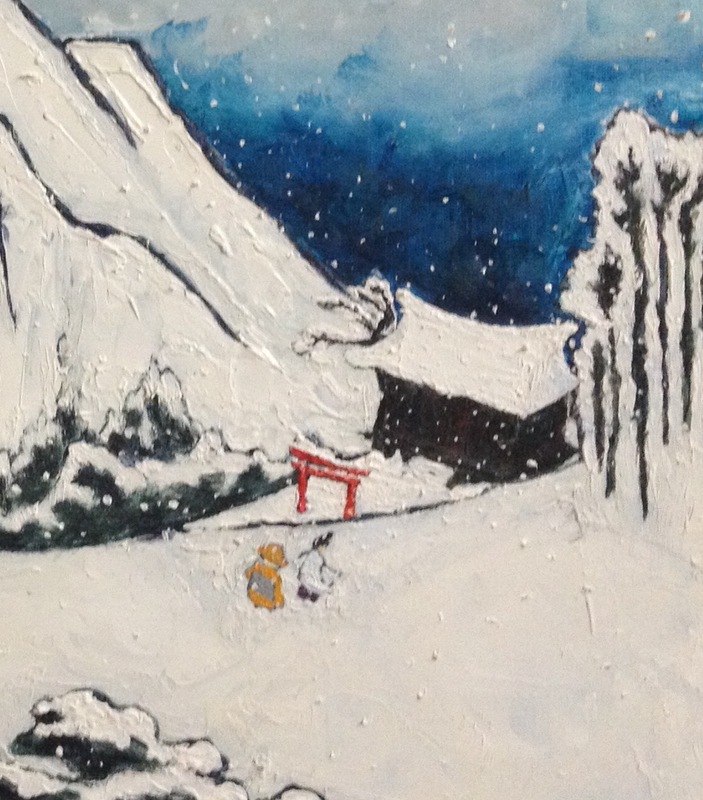 Before focusing on the bigger picture, the art piece itself titled “Art of Buddhism and Shintoism and Two Paths in the Snow,” is an adorable piece of art by Utsumi. 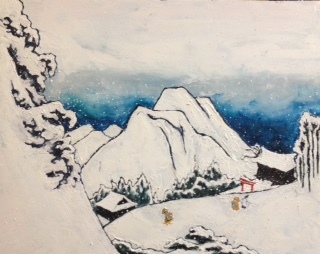 This is based on the amazing landscape, the three holy men of Buddhism and Shintoism, the terrible winter conditions, the power of faith, and the distant Buddhist temple and Shinto shrine. Indeed, the combined forces of religious faith, the bleakness of winter, and the amazing landscape illuminates the art piece because you feel dragged inside. Hence, a certain shrill of coldness is followed by deep admiration along with a yearning to feel the same certainty in this life. Of course, the bigger picture relates to the crushing of Buddhism in history and the ongoing struggle of this faith in the Chittagong Hill Tracts, Ladakh, Rakhine, Tibet, and other parts of the world, where Buddhism is threatened. Equally disturbing, even the historical legacy of Buddhism is being erased by Sunni Islamist forces in Afghanistan and further afield. Likewise, many Traditional Beliefs are still under threat from Christianity and Islam respectively – from small tribes in Brazil to tribes in Indonesia. Therefore, the beacon of the indigenous faith of Shintoism still shines brightly and this says much for Buddhism that did not seek to devour the indigenous faith – unlike the historical reality of Christian and Muslim forces throughout history that erased the past. Overall, a stunning art piece by Utsumi that shows that two religious paths can co-exist naturally without seeking to crush and humiliate the other. Of course, this is a million miles from the two Abrahamic faiths of Christianity and Islam in history that sought to devour and control by endless power mechanisms. Nichiren (1222-1282) is one of the most famous Buddhist teachers to emanate from Japan. Yet, he was very outspoken during his lifetime and this led him to be exiled and embroiled in the political processes of his day – irrespective if intended or unintended. 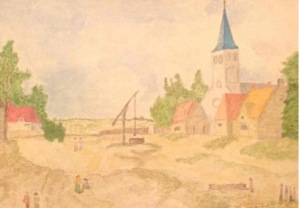 Therefore, the contemporary Japanese artist Sawako Utsumi focuses on a trilogy of Nichiren during his exile on Sado Island. 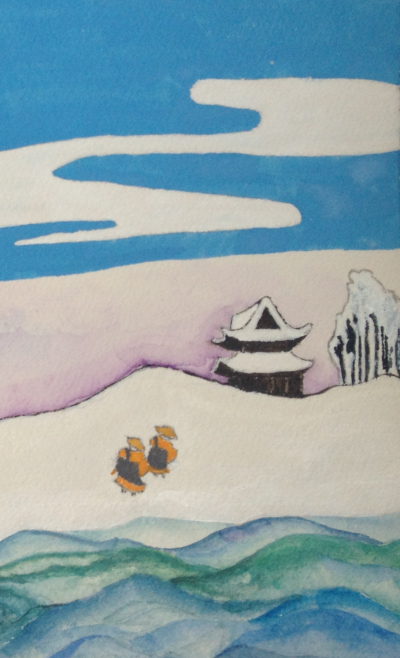 The wintry theme of the trilogy is meant to endorse the harshness of Nichiren’s exile. Despite this, it is clear that the first art piece is based on serenity and peaceful contemplation. 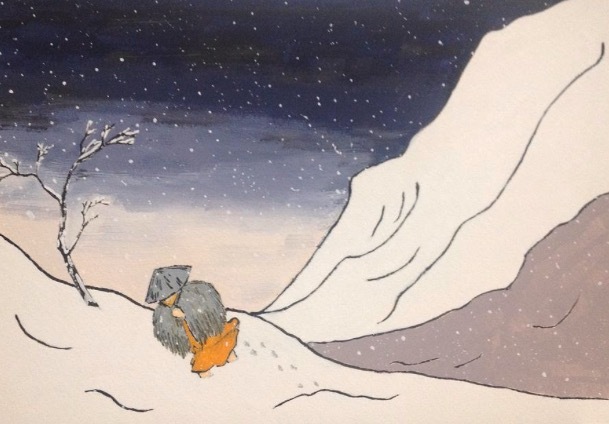 Intriguingly, the second art piece focuses on the start of his bleak journey but solace can be seen in the background based on prior human contact. However, the third art piece depicts Nichiren against the harsh and bleak wintry conditions of Sado Island, whereby his exile looks treacherous. 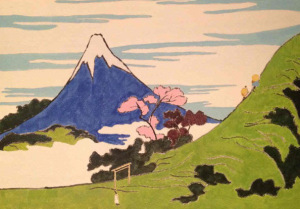 Yet, if you go back to the first art piece titled Buddhist Cleric Nichiren in Exile and Homage to Yoshitoshi, then clearly Nichiren is at peace in the mountains. 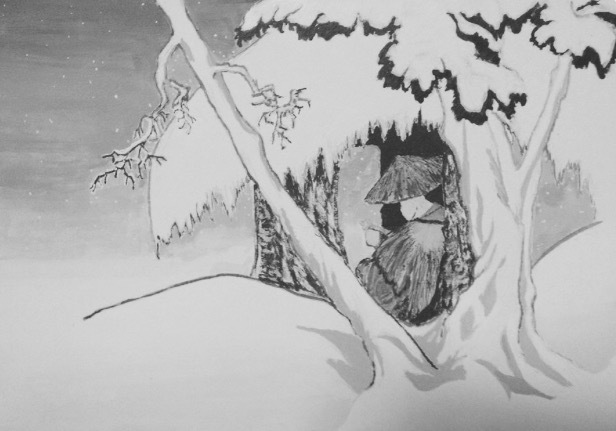 Hence, the second art piece titled Exiled Buddhist Cleric Nichiren in the Snow and the third art piece of the trilogy titled Buddhist Cleric Nichiren and Bleak Winter in Exile, are actually in the wrong order. This is based on Utsumi focusing on reality and unreality alongside the actualities of life itself. After all, often moving forward becomes firmly based on taking a backward step because the smaller things in life are now being negated based on greater ambitions. Indeed, many a politician, for example, succumbed to power and wealth – similarly, many families and friends become torn apart – or soon to be mere shadows – based on the natural causes and effects of capitalism, modernity, new relationships, and so forth. 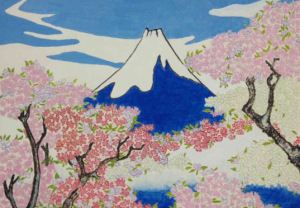 In the trilogy by Utsumi, her focus is on “the seen” and “unseen.” Likewise, the time of life is not based on natural phenomenon but the spirituality of Nichiren. Hence, the timeline is incorrect because like wisdom, knowledge, virtue, and other noble ideas, then these can come and flow from all individuals at such a short notice. In other words, many a bad person did good things – and many a good person did evil, and so forth. Therefore, moments in time, perceptions, cultural aspects to individuals, and other important areas, are really illusionary based on the multi-dimensions of this world. Overall, Utsumi, in her trilogy of Nichiren and his exile on the beautiful island of Sado Island, is based on a complex approach to what is deemed to be the reality of life. Also, and especially powerful, even when a person is abandoned it doesn’t mean that weakness and decline will follow. 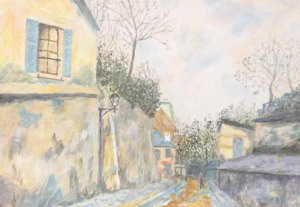 Therefore, the wintry theme and the trilogy of her art pieces are focused on many dimensions that will have different meanings to the respective viewer of her art. The Buddhist holy man called Nichiren (1222-1282) was exiled to Sado Island in his native Japan. This reality was extremely harsh for Nichiren and his followers feared for him. 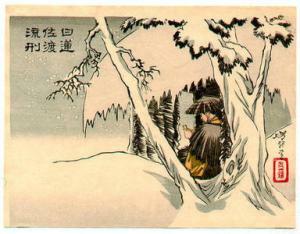 However, Nichiren had faced even worse situations because he faced death based on political intrigues against him. 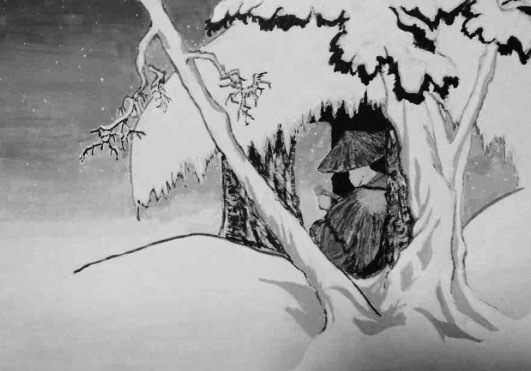 Therefore, true to the nature of Nichiren, his exile to Sado Island created even more noble ways and deepened his spirituality to an even higher level. 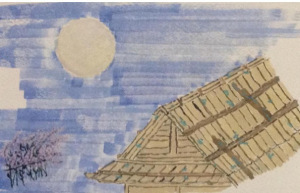 Sawako Utsumi, a contemporary artist who hails from northern Japan, not surprisingly is intrigued by the historical legacy of Nichiren – and the reality of exile to Sado Island. 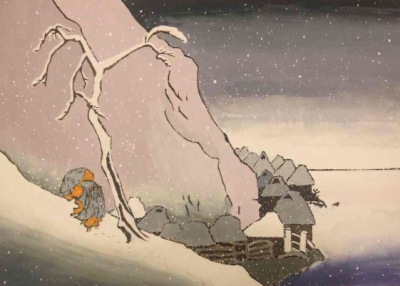 Similarly, the landscape of Sado Island and the bleakness of winter appeals to this modern Japanese artist who adores landscape art. 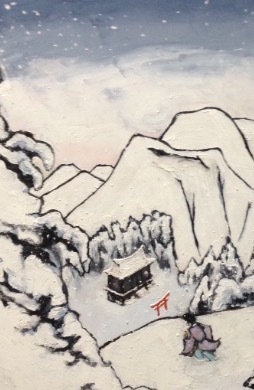 Intriguingly, the artist is more in tune to Shintoism, while ancestors will be a mixture of both faiths. After all, the fusions of Buddhism and the Shinto faith dot the landscape and the mindset of this nation despite the impact of secularism and modernization. Nichiren, himself, was very independent because he believed firmly that the true path lay within his teachings based on his knowledge of the written word. This holy Buddhist cleric made many enemies based on rebuking other Buddhist schools of thought. Yet, passion, the search for truth, questioning concepts deemed false, challenging authority, equally adhered people to Nichiren. 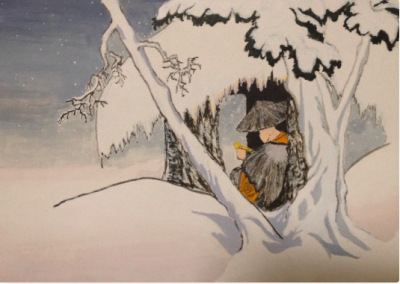 Utsumi, in her art pieces titled Exiled Buddhist Cleric Nichiren in the Snow and Buddhist Cleric Nichiren in Exile and Homage to Yoshitoshi, shows two completely different situations. 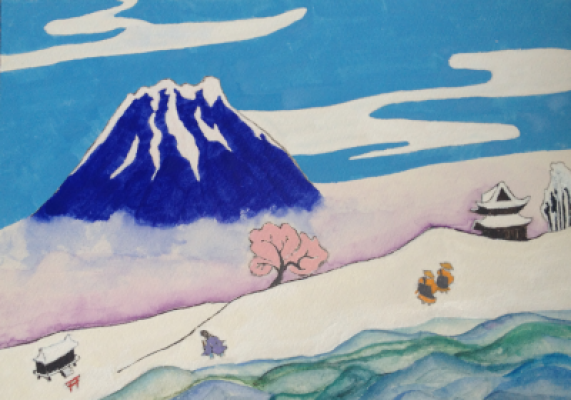 The similar themes apply to isolation, the bleakness of nature, wintry conditions, and powerful landscapes that depict the exile of Nichiren. 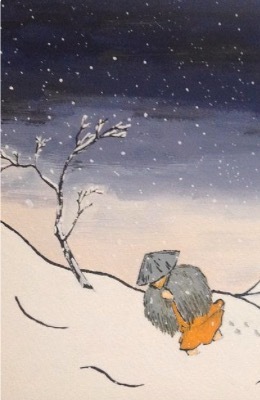 However, one art piece focuses on Nichiren in contemplation and feeling secure despite the wintry conditions he faces. Alternatively, the other art piece shows the brutal reality of the harshness of his exile during the severity of winter. Therefore, the meaning of both, according to Utsumi, is the many different realities that we face in this lifetime despite much appearing the same. Once more, Utsumi is highlighting the mirage of past artists – while, at the same time, creating new intricacies based on her own stunning art. Alluding to both art pieces by Utsumi highlighted in this article, then the fire of art was lit by others. However, Utsumi brightens up the originals by playing on artistic and philosophical themes that are not easy to comprehend from the naked eye! The contemporary Japanese artist, Sawako Utsumi, focuses in this art piece on the famous Buddhist holy man called Nichiren (1222-1282). 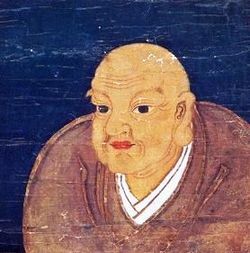 Unlike other established Buddhist religious leaders who influenced the people of Japan, Nichiren went against the grain because he would openly rebuke other Buddhist schools of thought. Therefore, Nichiren made many enemies during his lifetime and for this reason he was exiled to Sado Island in order to contemplate the errors of his ways. However, true to Nichiren the exile on Sado Island provided this holy man with new religious insights. At the same time, it did not infringe on his belief that he held the right path in this complex world. 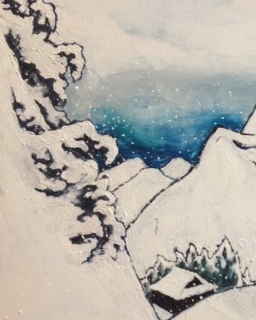 Given this reality, the stunning art piece based on Nichiren in exile by Utsumi illuminates this period of his life. 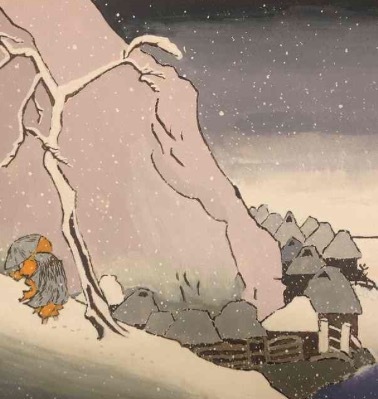 Not surprisingly, Utsumi, in her art piece titled Buddhist Cleric Nichiren in Exile and Homage to Yoshitoshi, focuses on the original by Tsukioka Yoshitoshi (1839-1892 – above image by Yoshitoshi). Yet, despite this reality, more light in relation to his robes is noticeable and the same applies to a slightly bigger gap where Nichiren is contemplating many things deeply. These differences are minor but the meaning equates to a growing enlightenment that will open to a much wider audience based on the passages of time – despite his exile threatening much during this period of his lifetime. Intriguingly, also, the sky is darker by Utsumi and this equally is based on the radiant robes of Nichiren that transcends night and day. The main tenets of Nichiren apply to absorption, learning, tranquility, and the notion of Buddhahood. 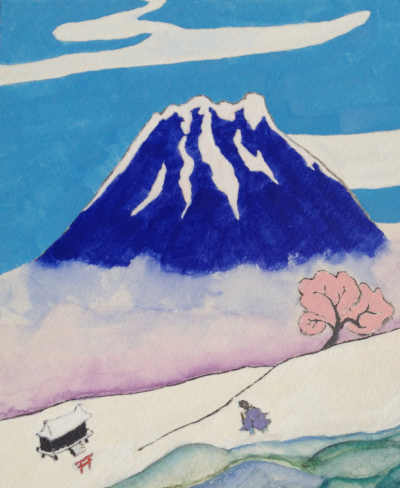 Sado Island, therefore, provided Nichiren with more time to contemplate the bigger picture. This reality can be seen in the original by Yoshitoshi and further extended by Utsumi based on more lightness despite the darkness of the time for this holy religious leader. 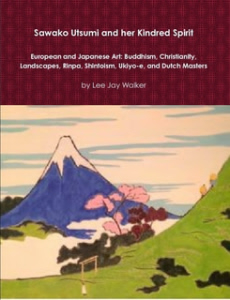 The art book Sawako Utsumi and her Kindred Spirit and the under title European and Japanese Art: Buddhism, Christianity, Landscapes, Rinpa, Shintoism, Ukiyo-e, and Dutch Masters, is a real gem. 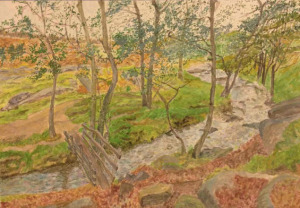 This is based on the unique and complex themes chosen by the artist Sawako Utsumi. Therefore, if you adore contemporary artists who focus on culture and landscapes – while fusing this with various faiths, then this book is well worth buying because of the adorable art pieces by this developing artist (http://www.lulu.com/shop/lee-jay-walker/sawako-utsumi-and-her-kindred-spirit/paperback/product-22830732.html). Like the title suggests, you have a plethora of different themes. Indeed, this is the beauty of this book that is written by Lee Jay Walker because the flows and contours cover many unique traits of Japan, where Utsumi hails from. At the same time, blending this with unique homages to specific European artists. 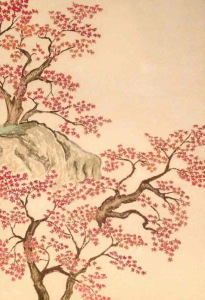 Therefore, the world of Japanese Ukiyo-e sits most favorably with esteemed Dutch Masters then flows naturally to her own personal landscapes of the High Peak region of Derbyshire. 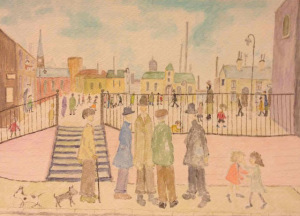 Utsumi, just like Lowry, but for very different reasons, re-galvanized her art after meeting Lee Jay Walker who ironically hails from a similar part of England that Lowry knew full well. 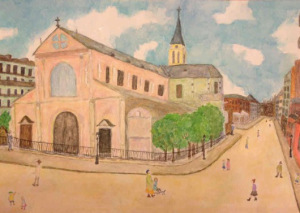 Therefore, the natural internal talents of Utsumi suddenly took a new artistic path whereby she became imbued with a new passion that brings together several parts of the world. On top of this, the faiths of Buddhism, Christianity, and Shintoism, creates a lovely unique dimension. 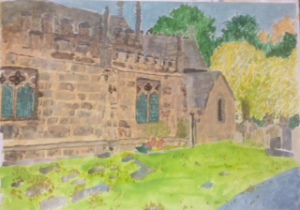 The same equally applies to acknowledging artists from different centuries, for example, Esaias van de Velde and Maurice Utrillo, while not to neglect her own personal landscapes of the High Peak area of stunning Derbyshire in England. 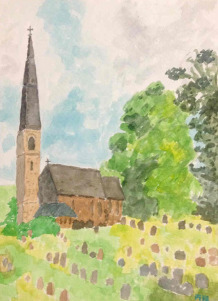 Overall, if you adore art, culture, landscapes, the fusions of different faiths, and other notable areas, then the book Sawako Utsumi and her Kindred Spirit comes highly recommended.